It's been a rough couple of years. 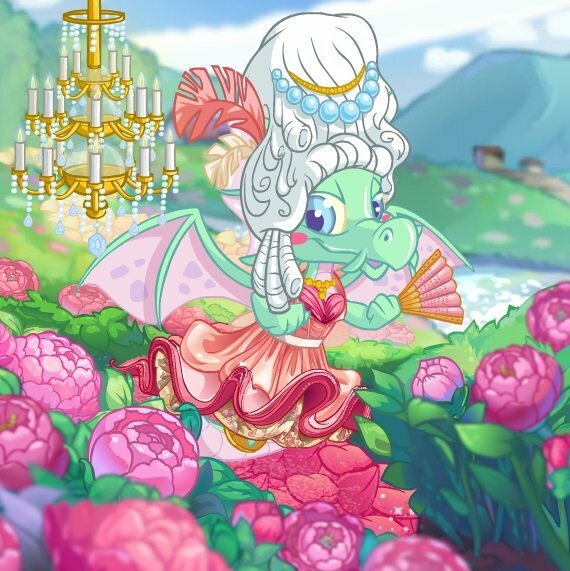 Neopets' new owners are still getting into the swing of things, and we can no longer rely on those events we have all taken for granted for so long. As April Fools' Day loomed before us, we were unsure what strange (but harmless) adventures lay ahead (if any). But in the wee hours of the morning on April 1, 2016, lo and behold, TNT delivered. 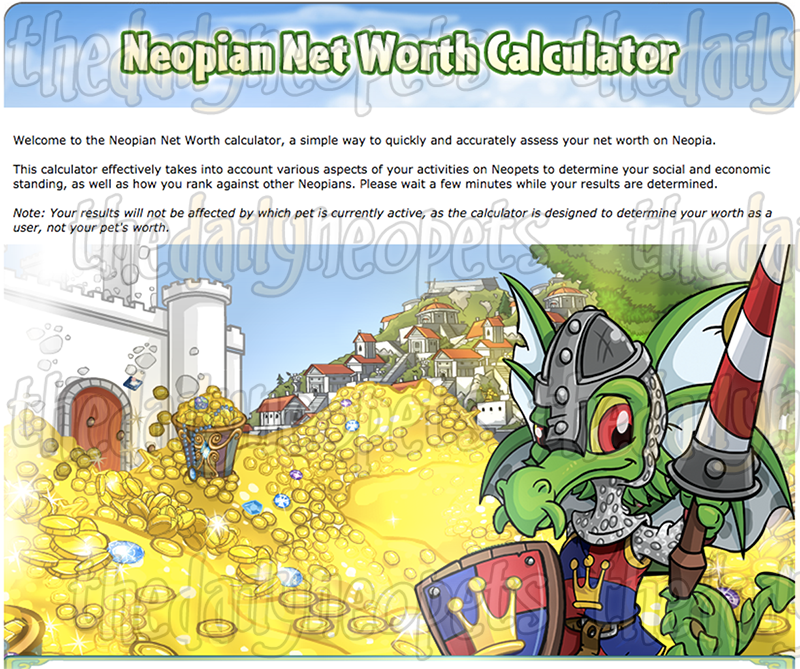 Users who discovered the banner on the front page, or followed it in the news, were taken to a "Net Worth Calculator" page, which claimed it would calculate the worth of everything on their Neopets accounts, including social and economic standing. After clicking the button to initiate the Calculator, it proceeded to check various statistics, including some unexpected ones such as "Analysing the Complexity of Your User Lookup" or "Analysing your Pet's Taste in Wearables". Upon receiving their results (which never actually occurred), users would theoretically be able to choose and join one of several elite clubs. Each club had different, special perks and characteristics based on where a user's worth came from. Inner Circle Join other influential, successful Neopians in a prestigious club that will open doors to some of the most exclusive features on Neopets. Always wanted an additional pet? Two? A Plushie Draik? Unconverted, you say? It's yours for the asking. New features and privileges will be added on a regular basis. Chic UCs Your Unconverted Pets are the envy of all, but you've always yearned for one more privilege - if only you could clothe them! Join this club and turn your UCs into fashionistas with exclusive clothing items just for them! New items added weekly. Paintbrushes Aplenty For deep-pocketed Neopians, few items are unattainable, for no price is too high. What then, can set you apart from the nouveau riche? 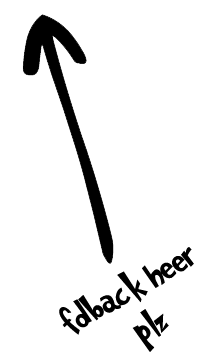 How about exclusive paintbrushes released just for you and a select few others? Members will soon be able to own Valentine, Birthday, Stained Glass and other exclusive PBs! Club Lutari The storm on Lutari Island is fast receding, and we have set up our exclusive club on this exotic land. Needless to say, only members are allowed to embark on this island, where privileged fun is the order of the day. The Connoisseur It is no fault of yours that you enjoy nothing but the best, so why must you pay for it? Enjoy rare, exclusive items at great discounts available to members only. On April 2, users who attempted to visit the Calculator were greeted with a message informing them that the calculator didn't seem to be working correctly, and were given a wearable prize: Priceless Seal. With the release of the news on April Fool's Day came a couple fun, phone "announcements" from TNT. The first was an announcement for a movie trailer teasing an upcoming film, "Dr. Sloth Returns." The second was for a "3D Virtual World version" of Neopia, that would allow users to explore the terrain of their favourite fictional world! The Snowager is awake. He'll be sleeping in 44 minutes, 46 seconds.